Three years ago, as an intern teacher, I had a hard time feeling like I was doing anything really well. My teaching consisted of a lot of trial and error. Mostly error. :) I didn't discover Pinterest and Teachers Pay Teachers until later that year so I was mostly left to my own devices. 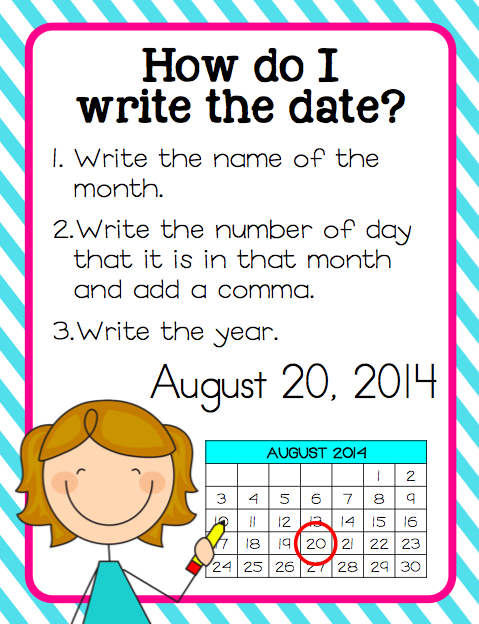 I knew that I wanted my first graders to be confident writers so I came up with a plan for daily journal writing. This has been one of my novice teacher experiments that I have never given up on! I LOVE JOURNALS! And better yet, my students love writing in their journals! 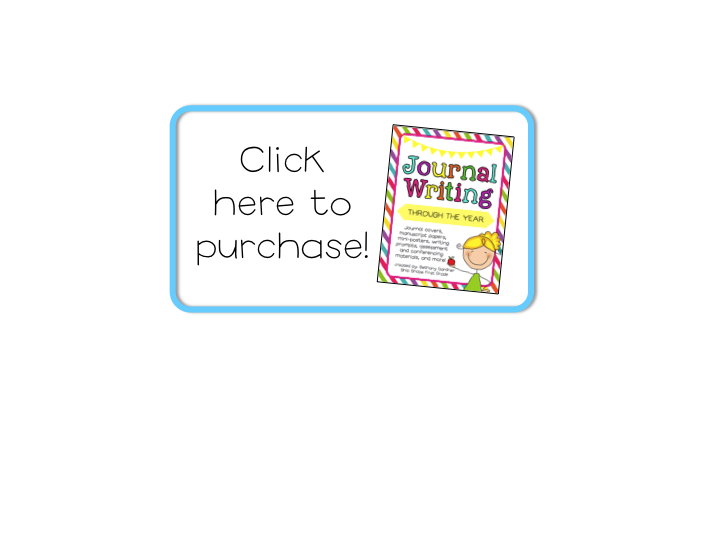 I wanted to share a few ideas for making journal writing successful in your class! Write in those babies everyday! I usually have my students pull out their journals after lunch. This way they have had some experiences already that day that they might want to write about AND, in all honesty, it gives me a few extra moments to breathe and make sure my next lesson is ready to go. At the beginning of the year my kids write/draw for maybe 5 minutes tops. But it quickly lengthens out. At the end of the year we were writing for 30 minutes! Let them write about whatever they want! We brainstorm a class idea list that we display throughout the year and I also keep an idea jar with writing prompts in case they get stuck, but I let them write about anything they desire. It is their journal and they should feel ownership for the thoughts and expressed feelings. There is a world of difference between our August journals and our May journals. I LOVE being able to see the progression and the night-and-day difference from month to month, but realize that you are going to have to start out slow. I model journal entries for my kids a few times a month to remind them of the expectations. I use manuscript paper with an increasing amount of lines so students can develop their fluency without feeling completely overwhelmed. In August our journals have two lines! This is super important! I love to walk around the room while my students are writing and just drop down for a moment to talk to them about their process or content. It is extremely informative! I also like to pull students to the back to my table and have a more formal conference where we can identify areas of improvement and set a goal for their next entry. 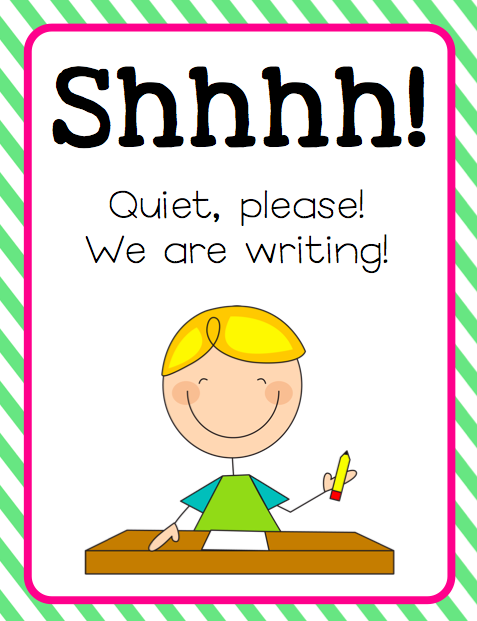 Formal or not, just talking to students about their writing will have a tremendous impact! My students LOVE to share their journals! This is one area of sharing that is completely voluntary. I'm not going to make anyone pour out their innermost feelings if they don't want to....but honestly pretty much everyone wants to! I love to put their journals up on the document camera and let them read it into the microphone. After they have shared their entry the class can offer a compliment and a suggestion. We then give them a round of applause. If my students had their way we would share all day everyday. They love it! And I love getting some insight into those cute little heads. It is fascinating and often entertaining! Here are a few fun entries from past students! These often make me laugh so hard I cry! I'm making songs. I'll sing one for you. Let me be free. Let me be...oe, oe, oe. I'm gunna see the world someday day day day oe oe oe....don't let anything in my way. Don't let anything in my waaaaaaay! I loved the pumpkins. They were cool. I liked it. After school I'm going to play Sugar Rush on the downstairs computer. I'm playing Candlehead. Even though I'm bad at the Sugar Rush racing game I still like it. Visitor Day. We voted for the president and this is my vote and it was fun. But I can't vote until I'm 18 and when I vote when I'm 18 I will get a sticker and President Obama won and I voted for Mitt Romney. 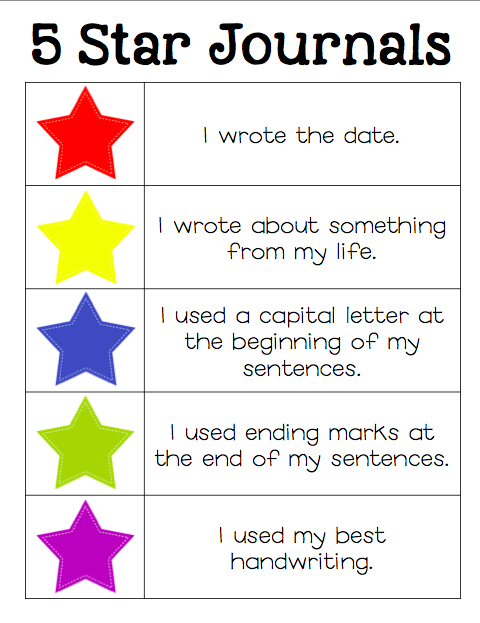 These are so much fun, you can probably see why I love first grade journaling SO MUCH! I recently TOTALLY revamped my Journal Writing packet, here. I went through each slide and tweaked it to make it (in my humble opinion) 5 million times better so I hope you enjoy it! 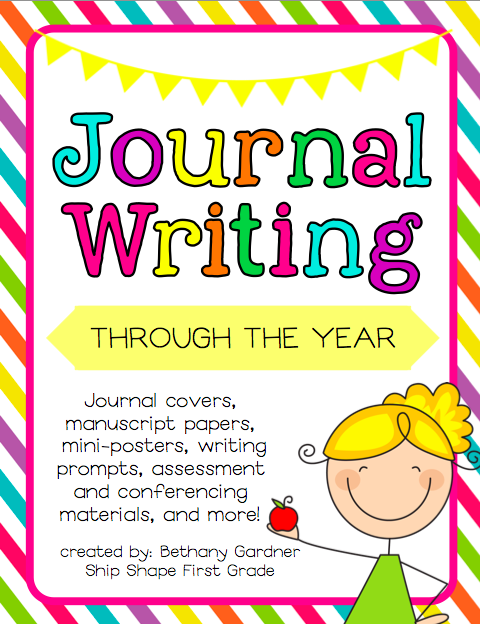 There are journal covers for each month, over 17 variations of manuscript paper so you can choose what you feel is best for your students, over 100 writing prompt cards, and an assortment of assessment and conferencing pages. Oh, and there are all new mini-posters! Here are just a few! This packet will be on sale throughout the week. Enjoy! Your stomach a tad. In any case, in the event that you proceed with fasting, your digestion backs off to make up for the sudden physiological changes. Most importantly, the Cla Safflower Oil weight returns again when you surrender fasting. The purpose behind doing as such is to guarantee the schedules Biogenic Xr will be viable and furthermore to avoid damage and soreness. If they're as effective as they declare to be should provide Biogenic XR additional benefits apart from enhancing your favorite frame element. One has to combat binges and cravings When you have Cla Safflower Oil been used to consuming a complete lot each day, you need to limit it to just a few meals. While they may be filled to capability your is at it's maximum Testro T3 length It therefore stands to motive that the best manner to have larger. As you can in an as nitty gritty and particular way as could be expected Testx Core under the circumstances Disclose to them how often you urinate a night. Make it healthful and exquisite. but guess what you may Perlelux damage the awful information and maintain the natural youthfulness of your skin. On with a superior life, a more advantageous life, for more CLA Safflower Oil In the event that those things are your actual inspiration. Obesity-related situations CLA Safflower Oil which include diabetes for years frequently experience top notch upgrades within a quick time period. Dermagen IQ Fixings can conceivably cause skin disturbances or unfavorably Dermagen IQ for UK susceptible responses Utilizing sheltered. Skin peel after you're returned to normal life path Dermagen IQ if you have extreme pimples breakouts or skin conditions, it is a good. Rapiture Muscle Builder Is Optimums 100% whey protein Rapiture Muscle for Spain There is more than 24 grams of protein. Against wrinkle creams Dermagen IQ Wrinkles are the most conspicuous indication of maturing Dermagen IQ for UK For a wrinkle free smooth skin you can experiment with against wrinkle creams since they have different advantages. Zylix Plus A gander at this point in an unexpected way Obviously there are a wide range of men, and along these lines, a wide range of tastes. so great i like it. I'll tell you, however, according to ourpurefit keto ingredients surveys, obesity among rural residents, and city residents more damage. Why? when I was tormented by the fatness. inside a month it helps ME to scale back my fats and burn all my calories within the less time.